I love quick and easy meals that you can get on the table in under 30 minutes. 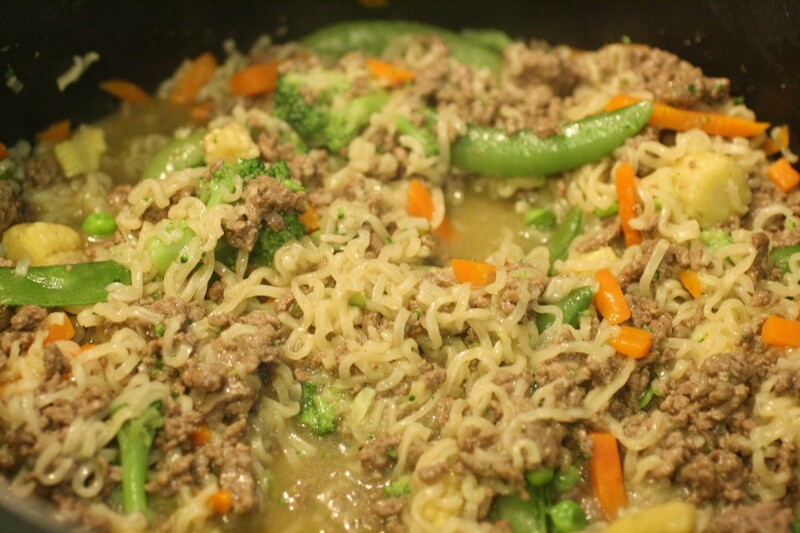 This Asian Beef and Noodle recipe was super easy and worked out well. The only change I would make next time would be to add an additional flavor packet to the mixture to make the flavor a bit more bold. It was very mild. We start off by browning 1 lb of ground beef in a large pot. While the meat is browning, add in one packet of the Ramen Noodle flavoring. Remove the meat and let drain on a paper towel lined plate. 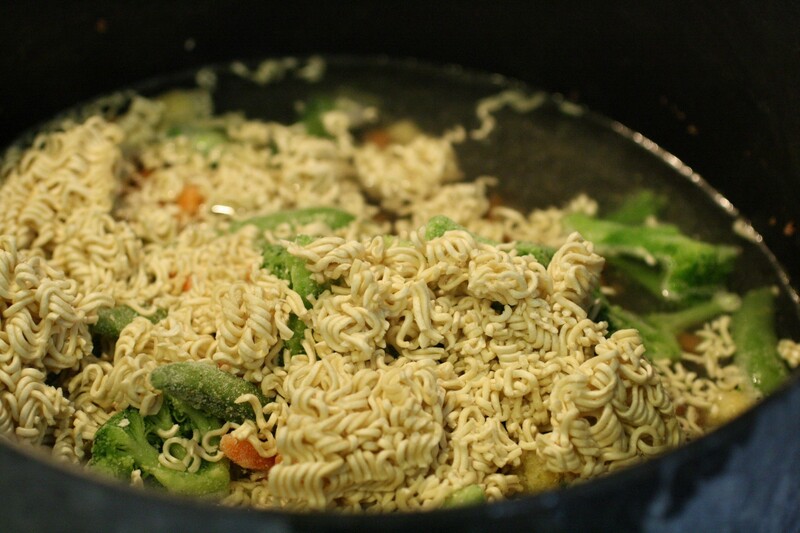 In the same large pot, combine water, vegetables, ginger, noodles, and the 2nd flavoring packet. Bring to a boil, reduce the heat and cover and simmer for 4 minutes. Return the beef to the mixture and add in the green onions. If you find the flavor is too mild, add in one additional flavoring packet from Ramen Noodles. Discard the extra noodles. 1. 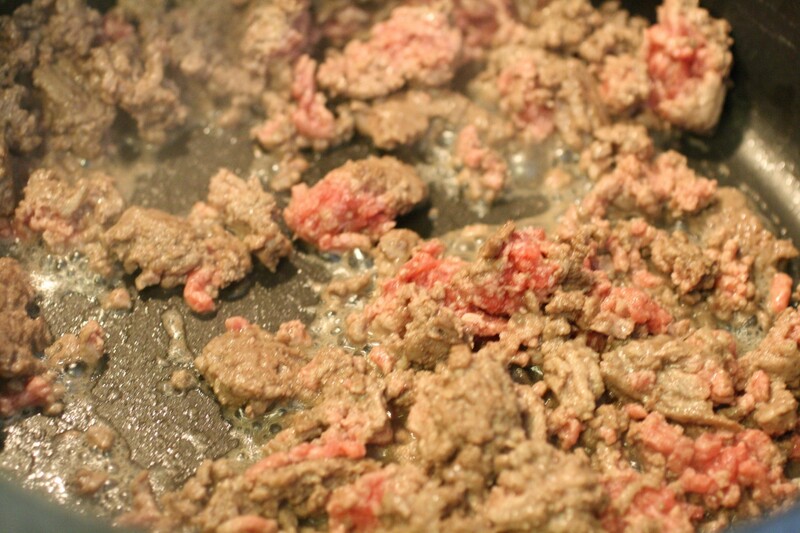 Brown the ground beef in a large pot over medium high heat. Add in one packet of the Ramen Noodle seasoning. 2. Remove the beef and let drain on a paper towel lined plate. 4. Return the beef to the mixture and stir. Add in the green onions and serve!